I have always wanted to chronicle my adventures to other countries. I told the review board this when I was applying to study abroad in England while in College. I thought it sounded great for admission to the prestigious Victorian University of Manchester England. But, I also meant it. I wanted to travel other countries, write what I saw, record what I tasted, what I saw, the stories I heard, and the history I was fortunate enough to touch. The thing about travel is that when I am traveling, I at least, am so mesmerized that I had barely enough breathe in the thrill of each moment let alone to catalogue them. And when they were over other life matters seemed to take over. And, I have to admit that my wanderlust for my next adventure trumped reminiscing about the past. Angie took this on my 20th birthday. We took a ferry from Naples, Italy to Capri. What a way to spend a birthday. I’ll never forget it. 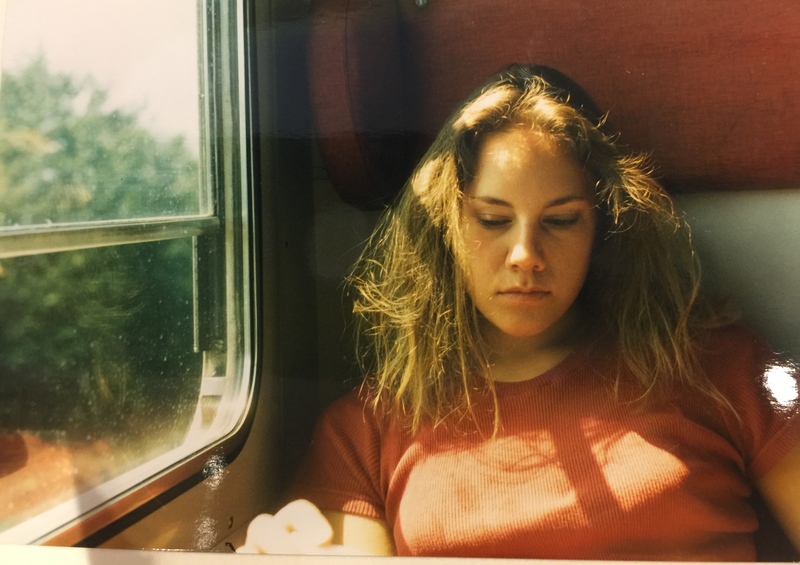 I knew then, as a 19-year-old, that my experiences in Europe would be amazing. I was called to travel. It wasn’t a matter of if for me but when. But, the only people who traveled in my family were war veterans and they traveled to remote areas of ravaged lands to fight in wars. These places included Bora Bora, Hiroshima, Tarawa, Vietnam, Afghanistan, and Germany. As grunt Marines, they saw heavy fighting. Travel meant war, famine, death and disease. So, when I announced to my family that I was leaving the U.S. for Europe for a year and to travel all summer, they were both shocked and dazed. I upped the level of adventure they could stomach with me. But, off I went with my Australian best friend, Angie. We were 19 and 20 respectively. 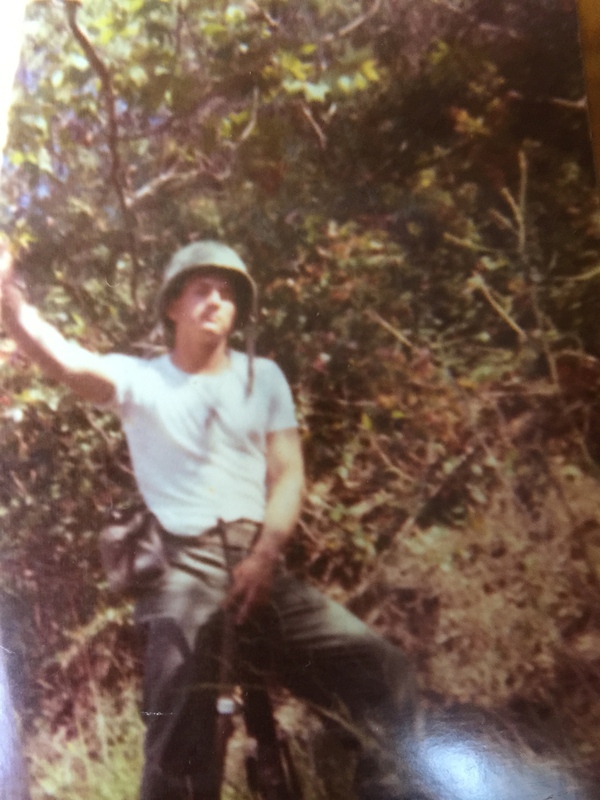 My dad stationed somewhere in Vietnam. He served 2 tours, voluntarily. Our plan was to start in Paris since it was of course one of the top places on our list to visit and because it was one of the cheapest cities to fly into. From there, we just plotted our course based on desire and train schedules. When Angie’s class term started in London, I had several weeks on my own to travel. Then, I met up with her in London before my classes started in Manchester, England. This was taken somewhere in Italy. We spent a lot of time on the train. 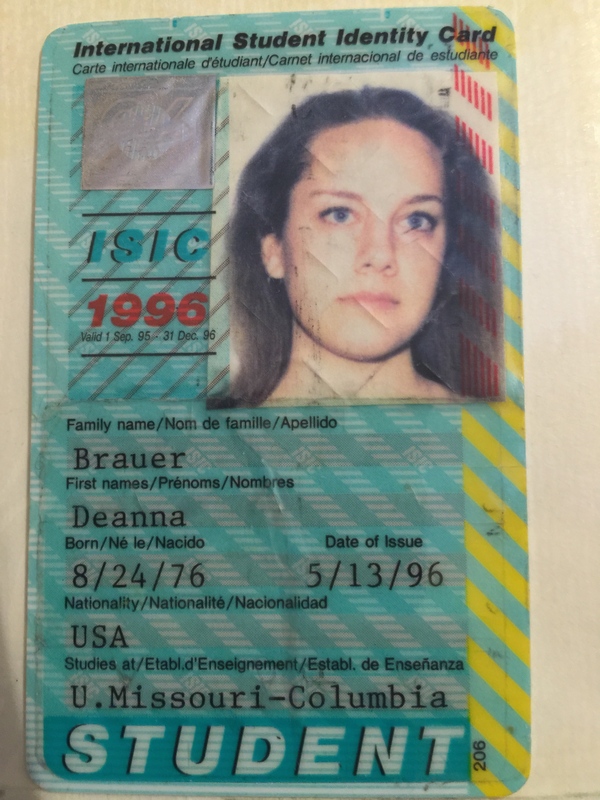 Now that I think about it, we traipsed across Europe alone 20 years ago. I admire our adventure and creativity. I admire our spirit. Backpacking didn’t seem like that outlandish of an idea to me. It helped that I was surrounded by so many other backpackers once I landed on the old country. Today, when I breeze through airports in South East Asia like Bangkok or Bali and see road hard backpackers, I smile and feel a strong connection to these wonderers and adventurers. That is exactly how I identify. I can’t help but think that I should have traveled longer and spanned my treks wider. But, I was only 19 and just getting started in the grand world. Was I so proud of this ID card or what! I was also very proud to own my auro-rail pass and my international youth hostel card. Europe became so many things to me. I knew it would change me in ways I couldn’t even imagine. It became the education I needed and craved. It was my Gaia teaching me the art of living, how to embrace life, sensuality and love. It reconnected me to the older parts of my soul and turned up the volume to romance in my life. It also confirmed to me that the beauty I craved existed and so much so, that it overwhelmed my senses. 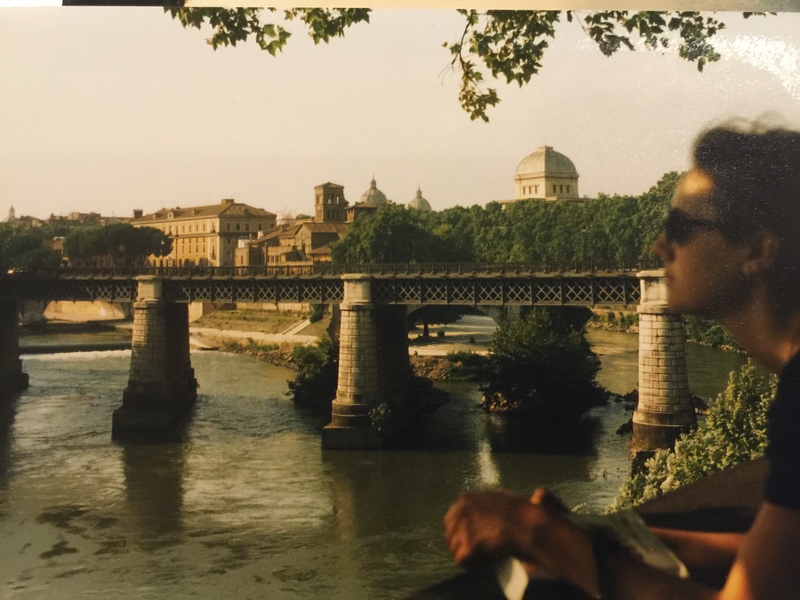 Angie caught a glimpse of me while gazing over the River Arno in Italy. 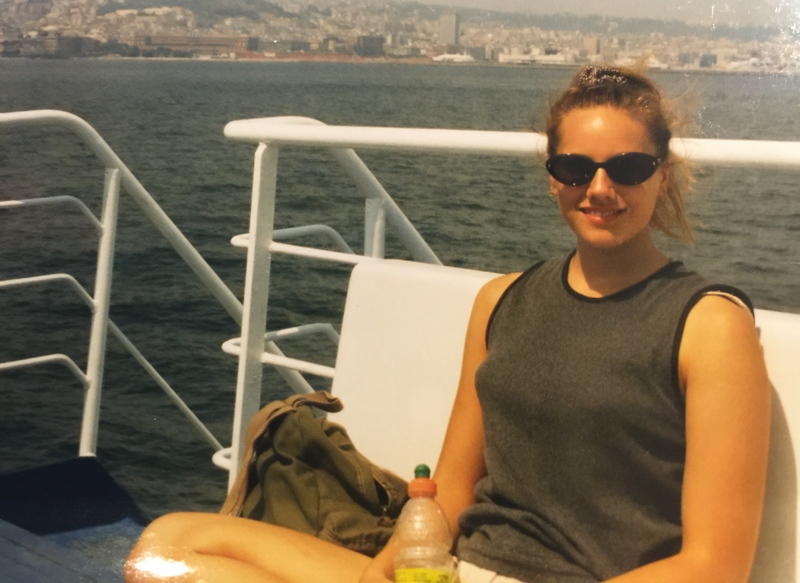 I never chronicled my adventures in Europe the way I had hoped and planned. Making up for lost time, I do not want to let my previous year of adventure to go untold as well. But, when I started thinking seriously about writing, I felt daunted by the sheer volume of travel literature that I myself have read and the amount already available. What could I offer, I thought. What more could I add? Then, I remembered C.S. Lewis writing that, “We read to know that we are not alone.” I wonder if we write to know that we are not alone as well. And, so, I am taking the plunge, taking the risk of adding my voice to the collection of so many others. 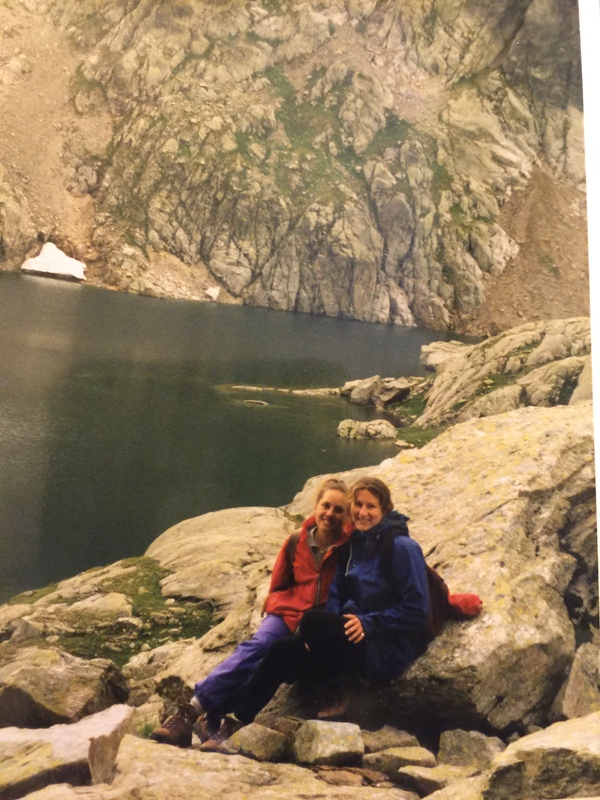 Angie and I spent several days with a family she knew in France. They took us hiking in their back yard which happened to be the Alps. We literally saw darling little sheep with bells wondering around the hillside. The Year of Travel – Kuala Lumpur, Kota Kinabalu Borneo, Bali, Bangkok, and Paris. 2014-2015 was a world wind of travel for both my husband and I. What prompted our travel to South East Asia was John receiving a work assignment in Malaysia. We had been vying for an international assignment after he completed his MBA but we never expected to hear Malaysia. We were hoping for something in Puerto Rico, Colombia, maybe Europe. No, Malaysia. Despite having 4 kids between us. (We both have 2 from a previous marriage) we found a way to make the assignment work. I closed my counseling practice so I could have the ability to fly to see John. I couldn’t leave clients for 2 weeks at a time and with such a huge time difference let alone spotty phone and Internet connection. I spent most of the time in the U.S. with my kids but arranged for my kids to spend time with their dad for 2 week time periods occasionally so I could visit John. And so began our year of travel. As I was re-reading your blog today in reference to C.S. Lewis’s quote…maybe we write to be known. Deanna, I’m enthralled!! I can’t wait to read more and see more pictures!!! You are onto something here!! !